“Fear makes companions of us all.” — Doctor Who: Listen. Previously on Doctor Who: Robot of Sherwood. Of creatures under the bed, fear in the dark, and the Doctor’s constant companion. 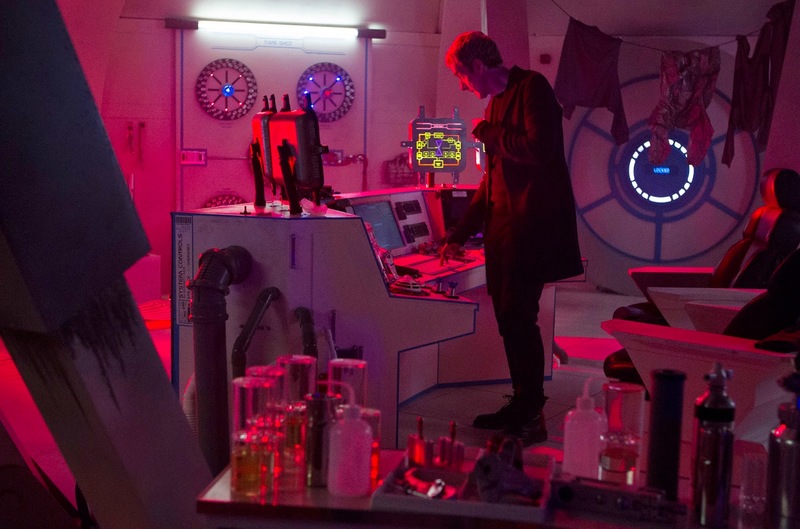 This episode seems almost unlikely in all its intricacies, coincidences, and revelations — but then, it is practically molded to Clara’s timeline, and the TARDIS doesn’t always take you where you had in mind. She takes you where you need to be. First, Clara returns home from a medium-disaster first try at a date with Danny. Again, Clara develops a serious case of Foot in Mouth Syndrome; and as I said last week, the fact that one of her flaws is insensitive humour is a well-picked characteristic for someone who’s generally mostly defined by their compassion and kindness. It doesn’t detract from her skills with kids and other people or her being a good person, but it makes her three-dimensional and just very real. There is a lot going on in this episode, with Clara and with Danny and Orson and with the Doctor, but it just about manages not to get too heavy, except perhaps for the last five minutes. My favourite scene, hands down, is the scene in Gloucester with young Danny/Rupert. 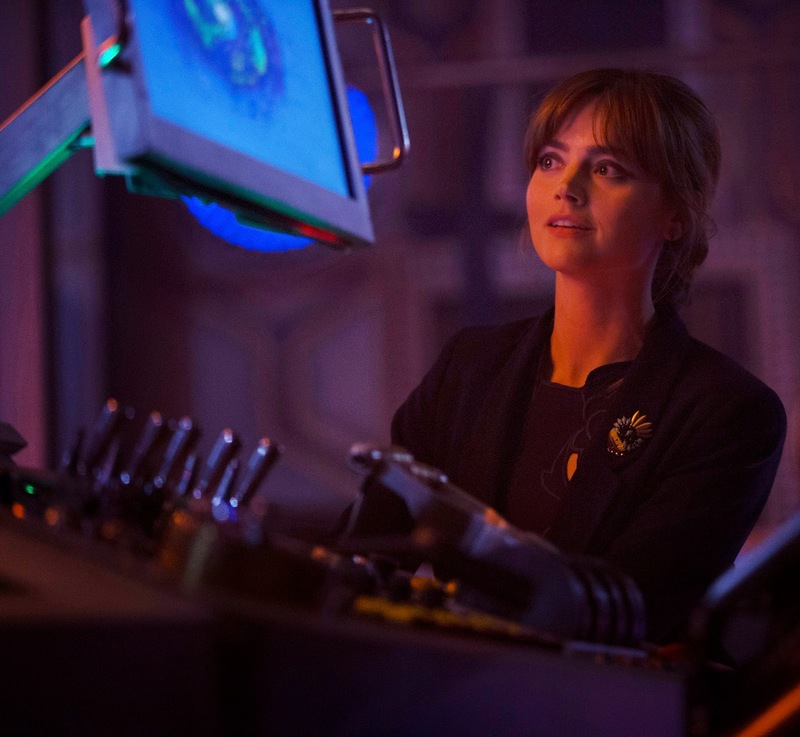 Clara’s fantastic as a caretaker, and the Doctor and her make a wonderful team in a crisis. The scene with Danny went from “What? !” to fabulously creepy and actually breath-haltingly scary to throwing-the-remote-away funny when Clara slaps the Doctor’s head in admonishment for creeping the poor boy out even further and then orders him to sit back down and he just does. Their comedic timing and Capaldi’s body language are just spot-on in that tiny moment alone. I just adore Jenna and Peter on-screen together, and how somehow Peter’s Doctor looks younger than Matt’s ever did. The Doctor carries with him some sort of excited energy that somewhat freed himself from the mysterious air that Eleven had wafting about him, and you can see it when he waits for Clara to get home, when he says, “Come on, you’re free!” He’s excited, and his face is distractingly happy-go-lucky about it. Oh, and: “Dad skills.” That has got to be the first time that the post-war Doctor doesn’t fudge the issue on having once been a parent. And with such easy confidence, too, because he knows Clara knows and who was he ever kidding, anyway. God, I love Twelve. And again, there was that back and forth between them, her indignation at being told what to do, and her throwing it right back in his face and him taking it for what it is. “Do as you’re told.” They’re equals, and if he can say that to her, then she can say that to him, and they both have to cop to it, or else this won’t work. So he cops to it. Add to that Peter and Jenna work so well together in both the dramatic and emotional and the comedic and physical/situational comedy moments, and it’s just fantastic. 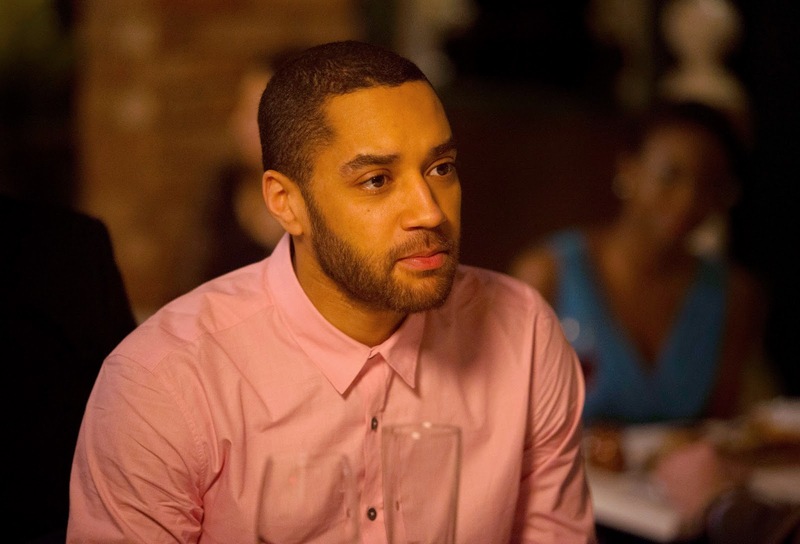 Samuel Anderson also plays Orson Pink, Danny’s great-grandson. Of course, the scene with the Doctor as a kid was supposed to have the biggest effect, I guess. And it did affect me, but it happened so suddenly and obviously intended for shock value that I can’t help but feel it sort of went over everyone’s heads, you know? It felt more shoehorned than Eleven’s appearance in Deep Breath, certainly, because it was just so… in a way, it closes a circle. Clara’s been there for every single Doctor, has saved him time and time again, but she’s never had the chance to save that little boy who was scared by what he saw in the dark, perhaps by what he’d seen in the Untempered Schism, even. It’s a callback to the First Doctor saying, “Fear makes companions of us all,” pretty much the inception of the concept of the Doctor’s companions, and it’s a Big Important Gesture that Clara leaves the little boy from Gallifrey with Dan the toy soldier. It’s a family heirloom, and the Doctor’s part of Clara’s family, undeniably. But while the scene can be explained and makes sense within the frame of reference of the episode, it feels contrived and out of place by the sheer magnitude of it. I mean, if that barn is on Gallifrey, which I think we’re all assuming, then… they just went to Gallifrey. In the TARDIS, which is now so full temporal energy that, surely, the Time Lords should have noticed something? I don’t know, perhaps it just feels weird to have something so potentially huge occur pretty much in passing, like an afterthought, in a scene that was obviously written to bring us to tears. I’m not at ease with that scene, perhaps because it feels less organic and too much like emotional manipulation in an episode that is already chockfull with Clara being confronted with her possible future with Danny. Clara could have said all that to her Doctor’s face, too, and it would have had the same effect. As I say, I’m not at ease with it. All in all, they spend an entire episode chasing a rumour — and something did breach the airlock, so…? If the punchline is that they spent an episode chasing nothing because the Doctor’s just a kid scared in the dark, then what was the thing under the bedspread for? I’m struggling with whether that’s actually what the solution is or whether to classify this as one of the Doctor’s unsolved X-Files. ’cause if they’d been chasing something that doesn’t exist, that’s where the episode would begin to fall apart a bit, and that would be a shame. P.S. : At some point, Clara talking about her outward appearance a lot and the make-up joke and the wide-face joke become less about a character’s vanity and desire to look their best (which, as just another character trait, would be perfectly fine) and more about something that women apparently focus on (read: obsess over) because, well, they’re women, and everyone Clara is interacting with this episode are men and the men never once do, especially in conjunction with dates and date preparation. Food for thought. 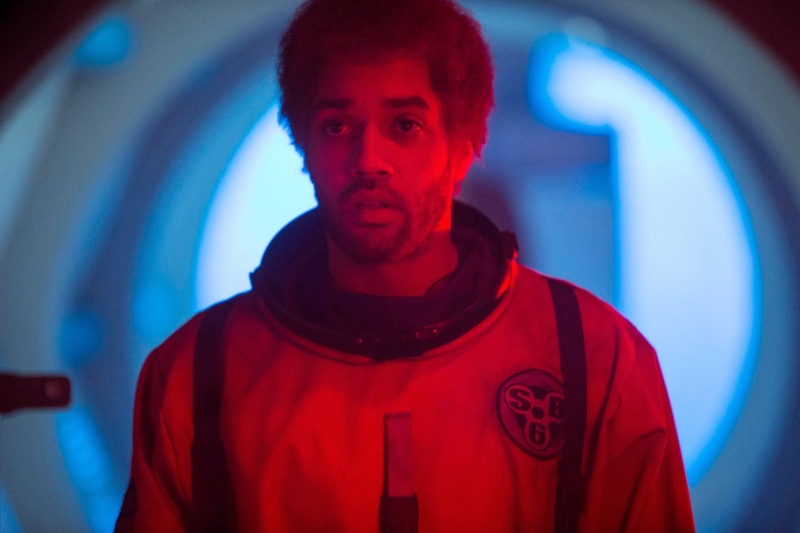 Next on Doctor Who: Time Heist. There’s a lot of ambiguity in this episode (and a little silliness), but I quite liked that. As an episode, I liked that this was scary and yet also a character piece and even added something to the Doctor’s own mythos. I wonder … when Orson mentioned time travel running in the family and a great-grandparent whether he was actually talking about his great-grandMOTHER perhaps? Hmm. I felt that the ambiguity so many see in this was actually more contradiction. Making it a monster that only exists in your imagination is clever, and I like the point being made about everyone being afraid and that being ok. But in the light of that, the scene with the creature on the bed seems too heavy-handed. We see a flash of light as it disappears, suggesting it wasn’t just a kid, because what kid just disappears in a flash of light. Perhaps it was an idea that evaporated. But then where did the bedspread go? Clara posits the idea that there is really nothing under the bed to cover up her own being there — but if that means that she’s created the idea of the monster under the bed, that still doesn’t explain the scene with Rupert. And it doesn’t explain Earth kids having that same dream. The Doctor chasing a rumour through time and space doesn’t make two other people hallucinate the same thing at the same time. As it was, this train of thought didn’t leave me with the uneasiness of something I can’t see perhaps being out there, but with the uneasiness of an interesting narrative getting bent too out of shape around another interesting plot point intended to make me cry — in short, a plot hole. Perhaps I’m missing something here, as everyone from Yellowknife to Hong Kong seems to laud this as the best Who episode in history, but I know what horror narratives with ambiguous endings do to me — and this didn’t do it. It evoked Midnight, but it didn’t follow through on it with the same coherence and cohesion. As I said, I’m not at ease with the scene in the barn. It’s romantic stuff, yes. But it should have been given more time to have proper impact. Like this, I could feel the proverbial anvil dropped on my head with just a little too much force. The same words would have worked spoken to the Doctor’s present face, and not having Clara be the one to grab his ankle wouldn’t have put such a dent in the true ambiguity of sth being out there or not that was sustained and still freaking me out right up until I realised under whose bed Clara was hiding. I’m glad that folks love this ep so much, and I do, too. But it doesn’t fully work for me. NextScott & Bailey: Series 4, Episode 1 (Superficial).